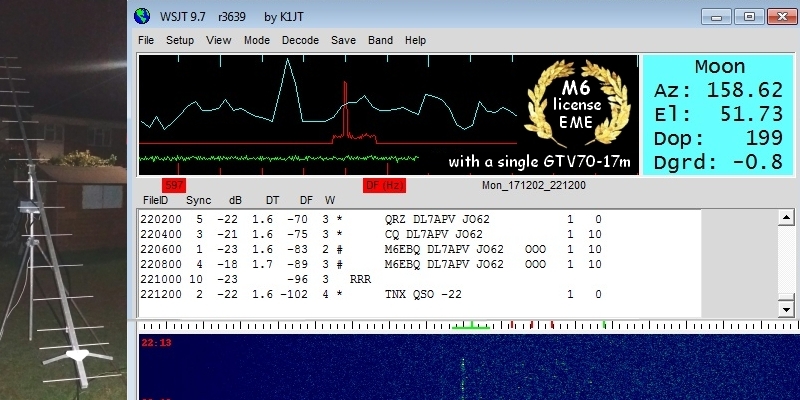 Günter Hoch, DL6WU is silent key ... tnx for everything Günter! 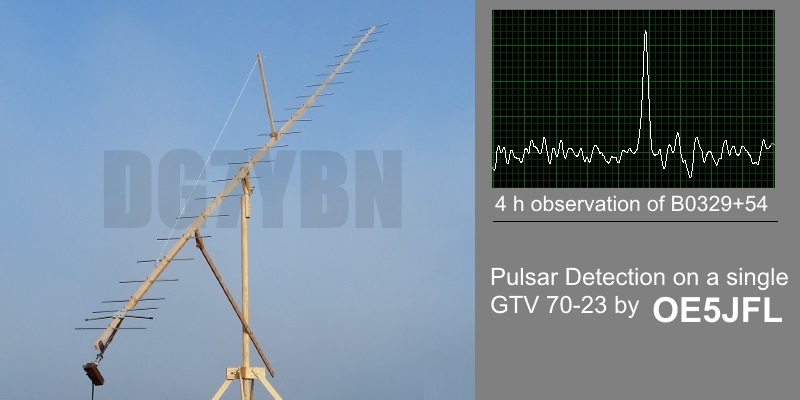 Single Yagi Pulsar Detection by OE5JFL! 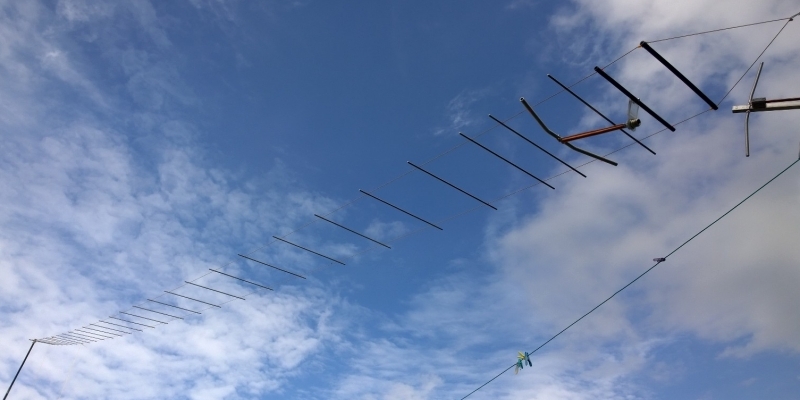 Another even tinier 70 cm EME Yagi. 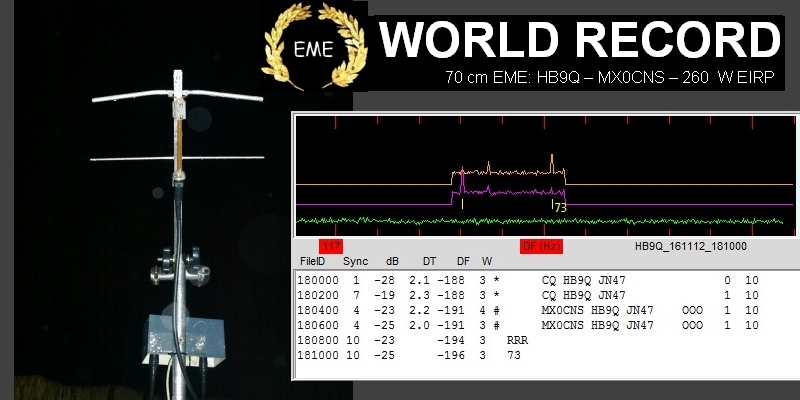 Congrats to MX0CNS and HB9Q! 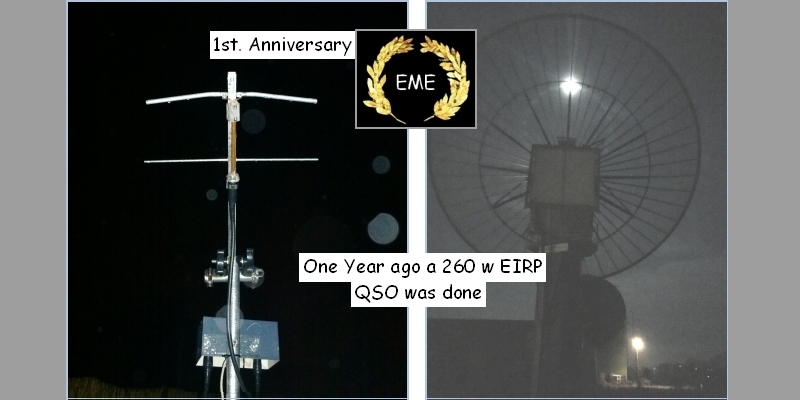 2016-04-09 : Mission accomplished : MX0CNS did EME QSOs with PI9CAM, DL7APV, OK1DFC! 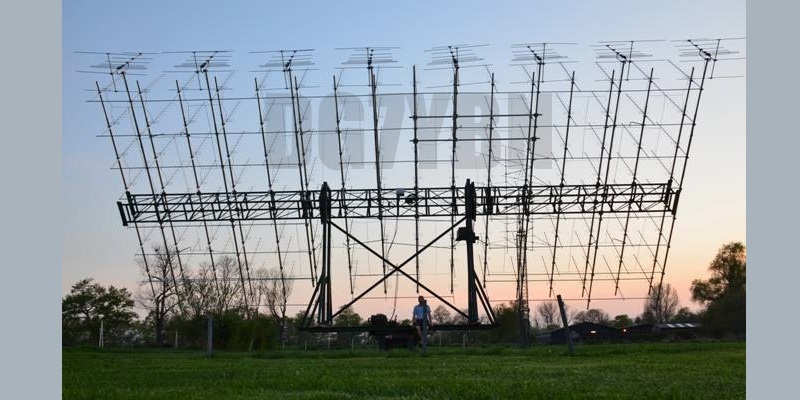 2018-12-31: Web Stats for 2018 show an increase in visits by 28%. Thank you! 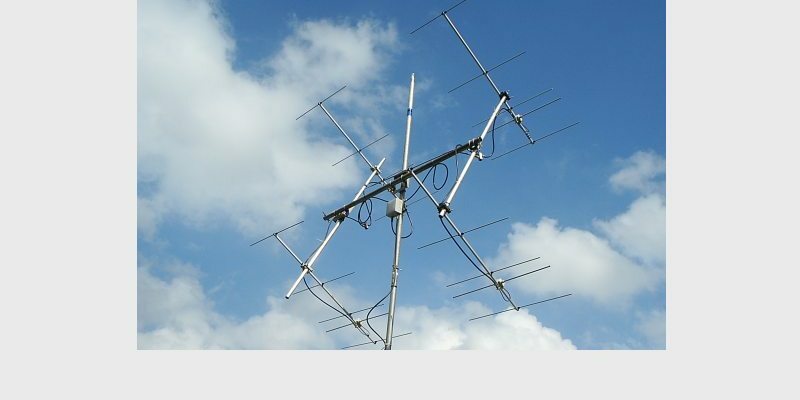 This website is about Amateur Radio, VHF / UHF Antennas and general RF topics. 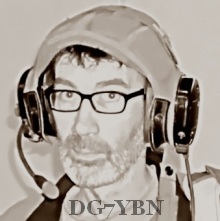 DG7YBN frequently writes for Dubus Magazine. You will find most of hi core output on this website. However, to get full details, you may subscribe to Dubus. Year Visits p.a. Hits p.a. "Thank you for posting excellent construction and education pages. Your method of presentation is excellent and your photography is professional. 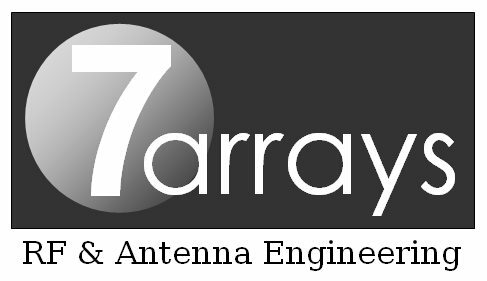 "My compliments for the very complete and tutorial antenna site"
"Thank you very much for publishing such an informative website. 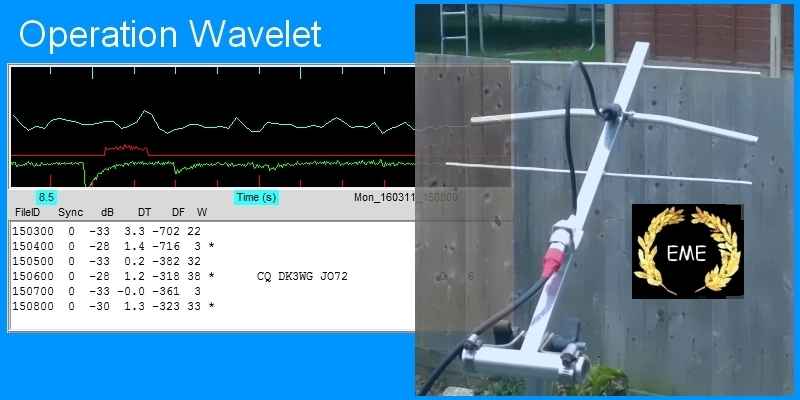 I found it whilst searching for a good way of measuring a quarter wave stub for 145.950. 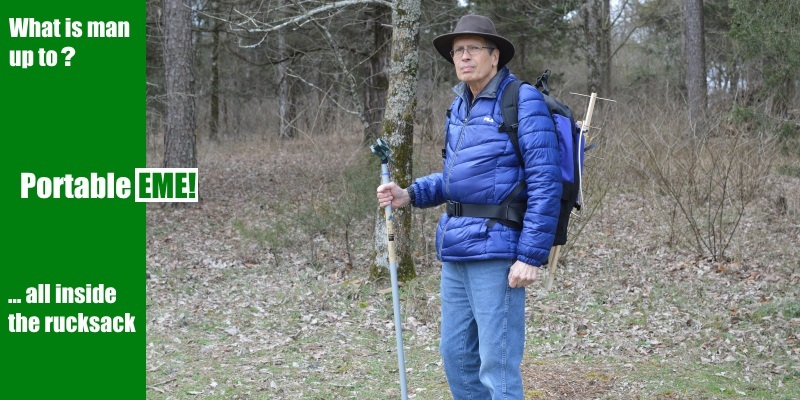 I was fascinated to read your explanation of the frequency dependent nature of coax. As far as I know, this is not covered in any amateur books and I had never heard of it before. I had often wondered why one could not rely on manufacturers VF data for critical stubs - now I know! "And again, you have a very informative website. Congrats!" "Look at those numbers, You are a genius"
Wanna see my real genius? 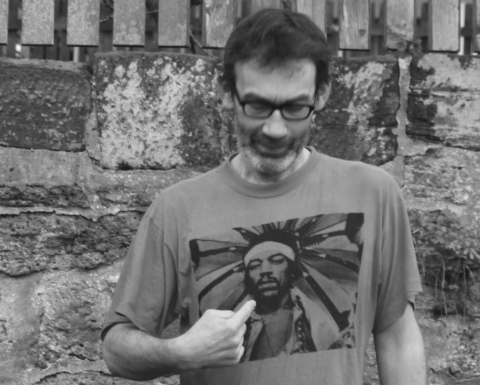 You will find most of his core output on this website. 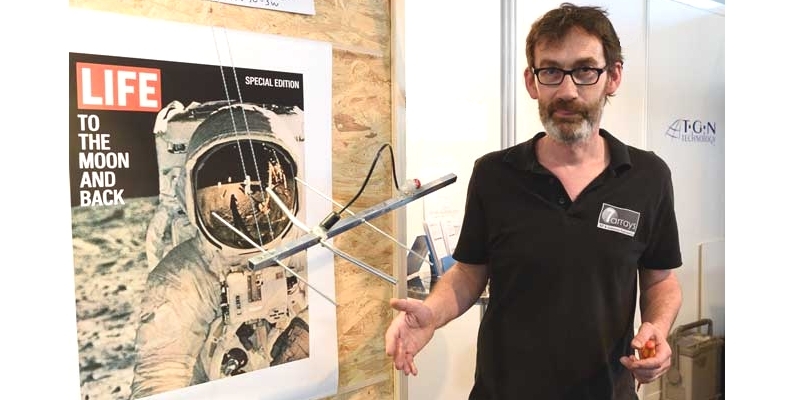 A few private words about the author and his life beyond amateur radio. 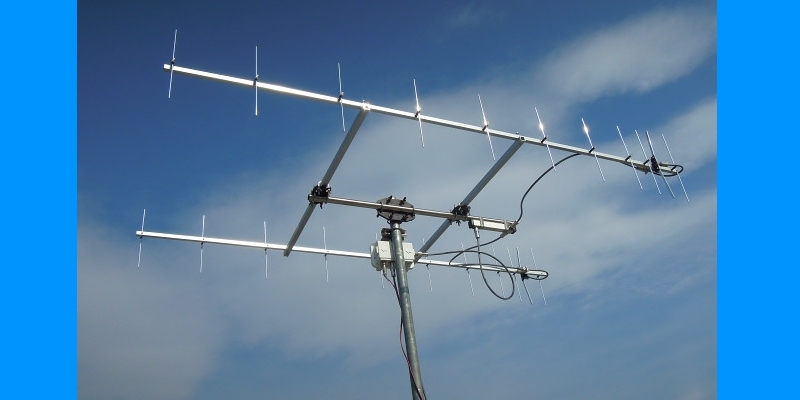 A 1.2 m 50 MHz 2 ele. 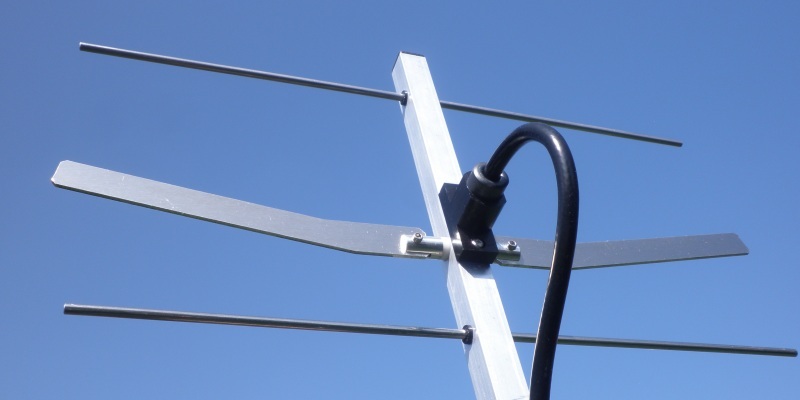 with split Dipole for direct 50 ohms feed to be very uncritical for home building. 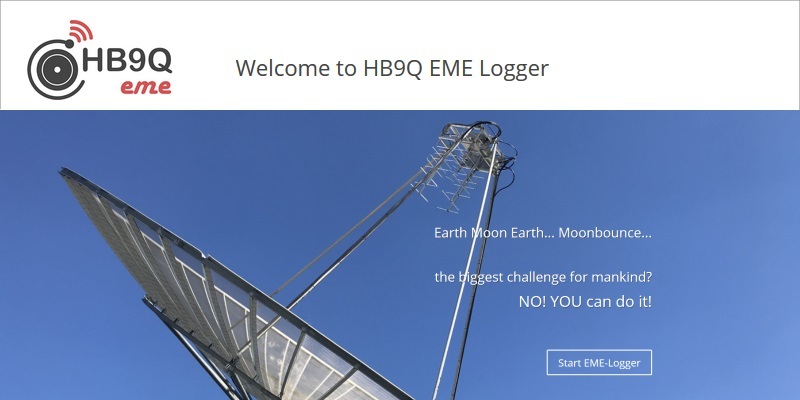 A wideband version with hugh bandwidth. 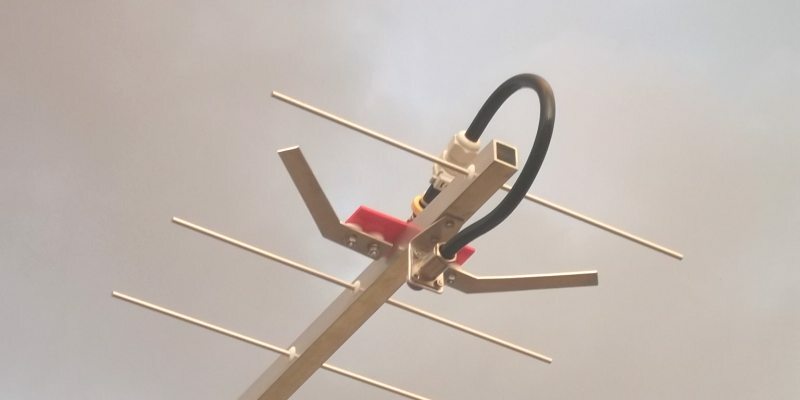 A 4.4 m 50 MHz 5 ele. 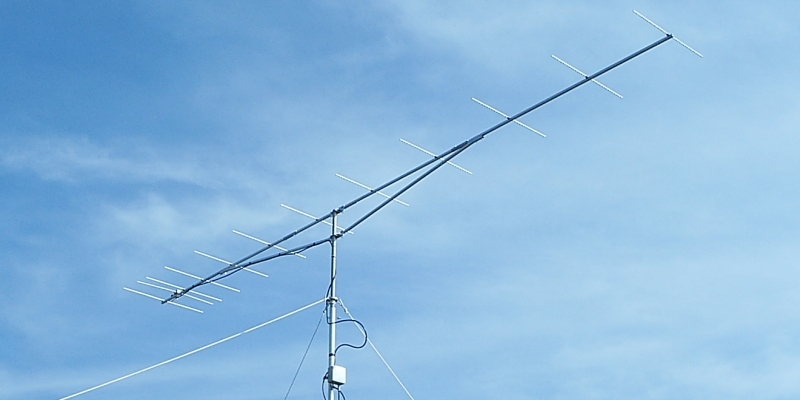 derived from the 2 m 5 ele with split Dipole to be very uncritical for home building. 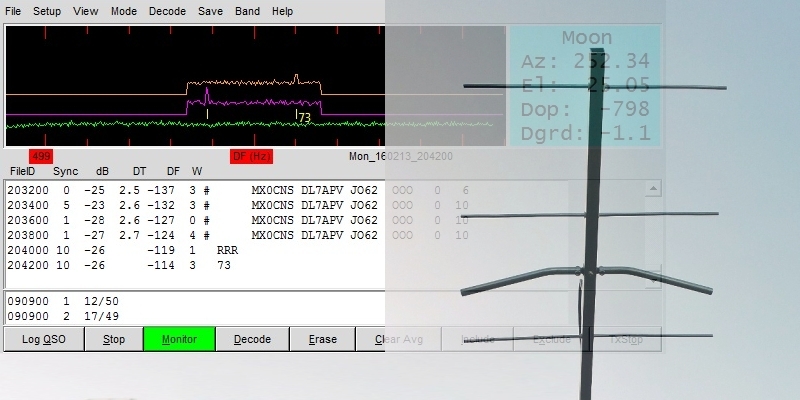 A wideband version with hugh bandwidth and yet high F/B. 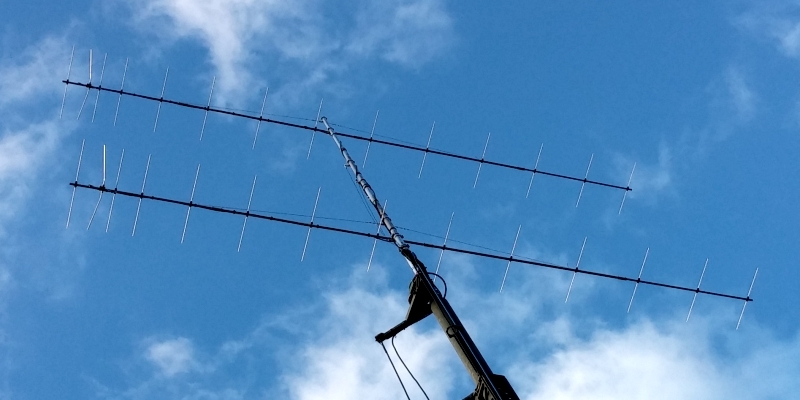 A 13 m 50 MHz 9 ele. 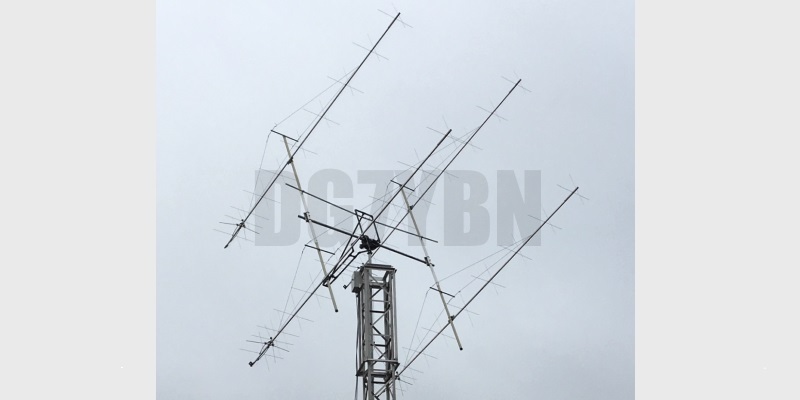 derived from the 2 m GTV 2-9m but with split Dipole to be very uncritical for home building. 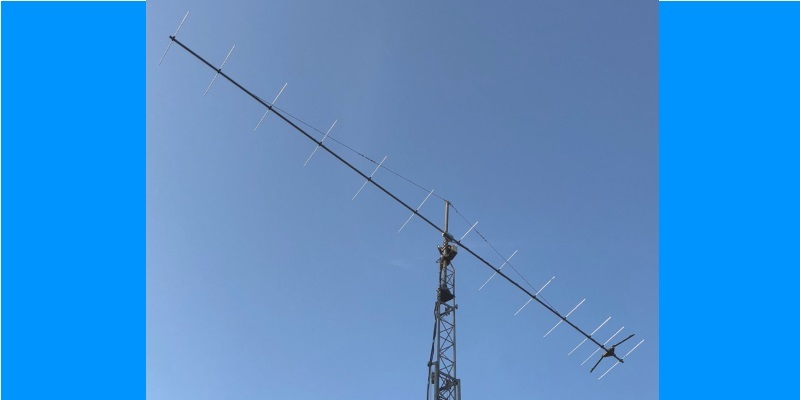 Revision of the very directive 8.6 m 50 MHz 7 ele. 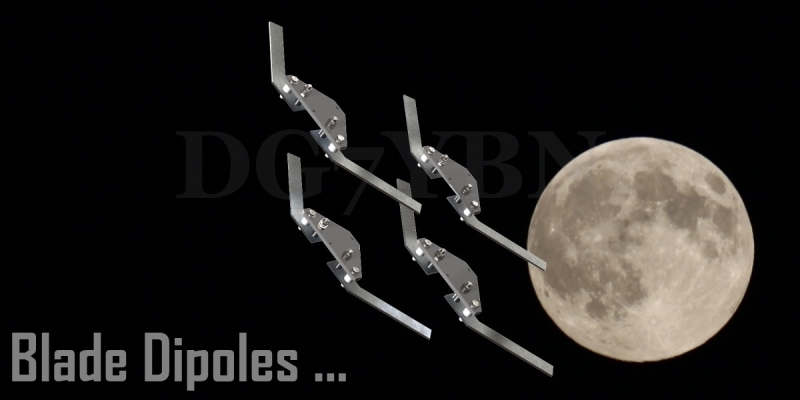 with bent Dipole. 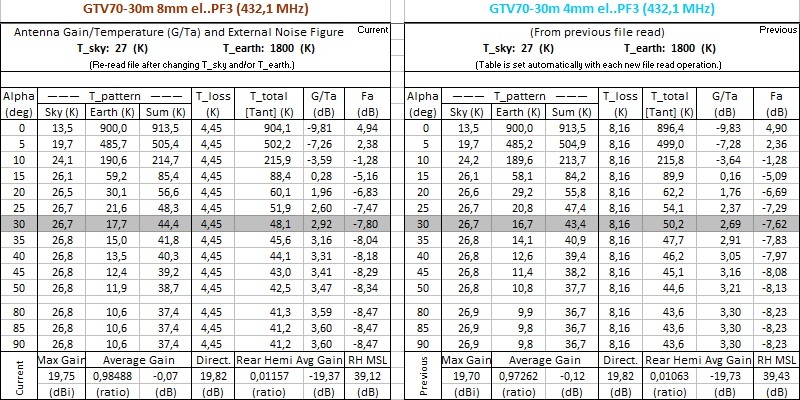 Carefully tuned for some bandwidth and high F/R now - all without loosing on gain. 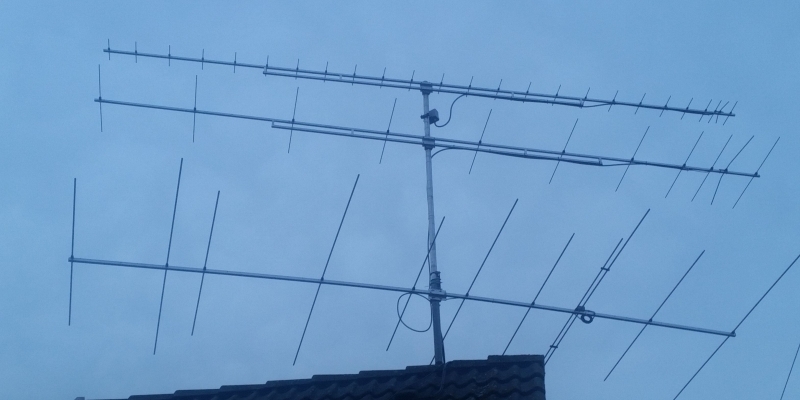 A 0.9 m 70 MHz 2 ele. 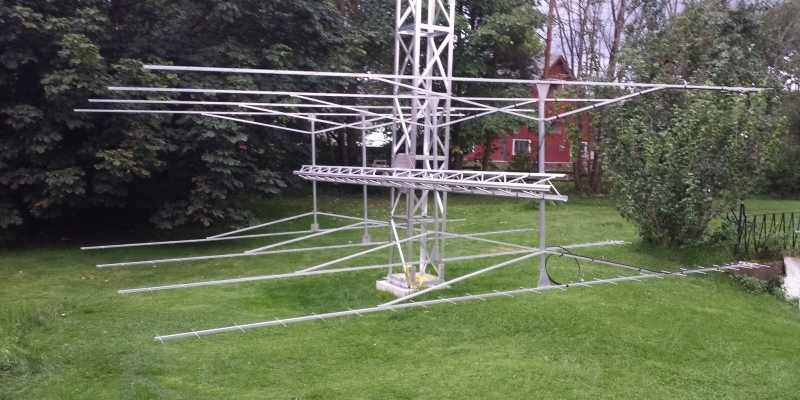 with split Dipole for direct 50 ohms feed to be very uncritical for home building. 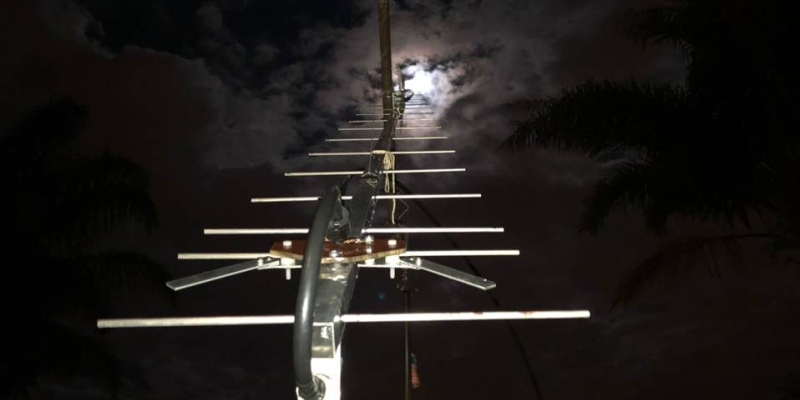 A wideband version with hugh bandwidth. A 3.1 m 70 MHz 5 ele. 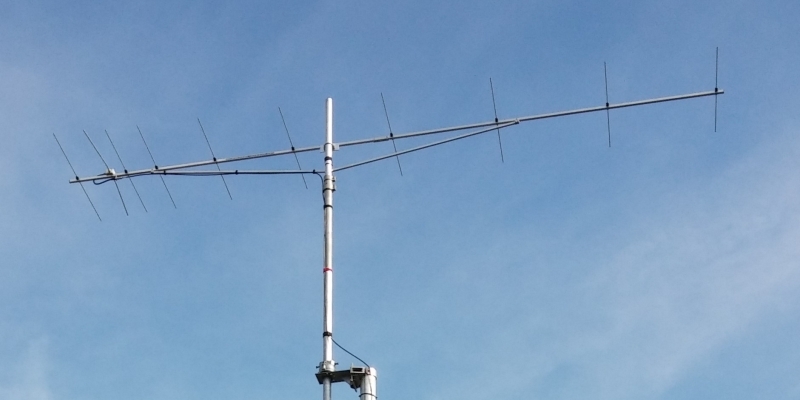 derived from the 2 m 5 ele with split Dipole to be very uncritical for home building. 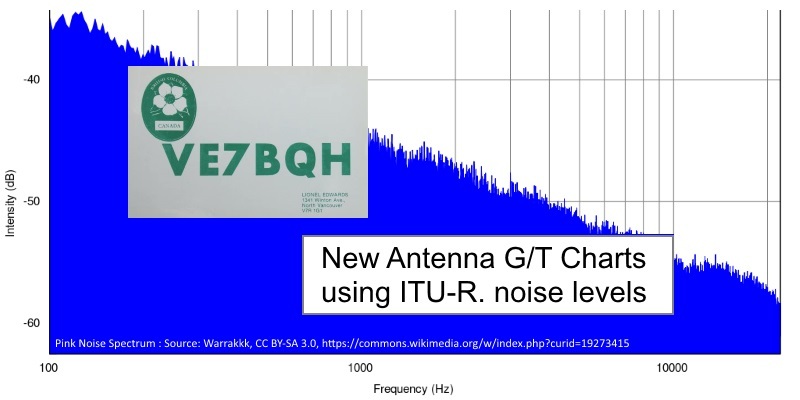 A wideband version with hugh bandwidth and yet high F/B. 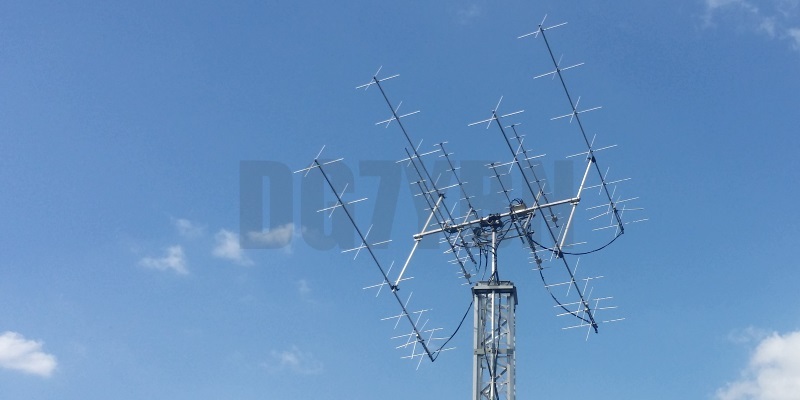 A 7.2 m 70 MHz 8 ele. derived from the 2 m 5-8 concepts 8 ele. 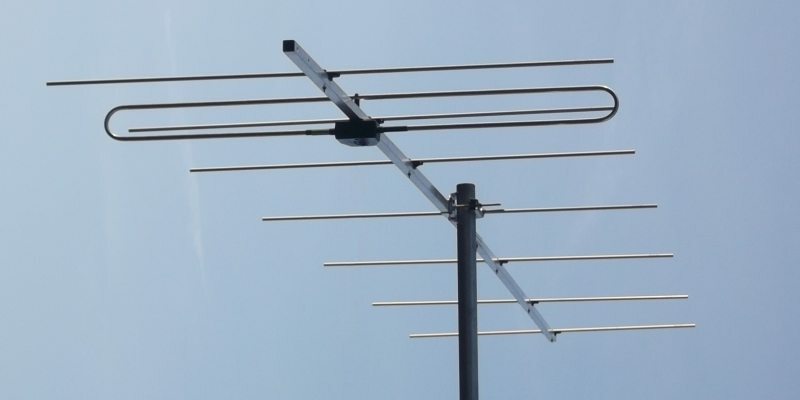 with split Dipole to be very uncritical for home building. 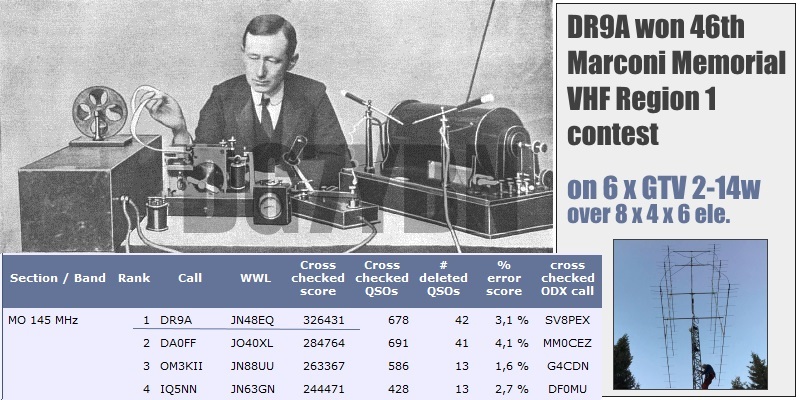 A wideband version with hugh bandwidth and yet high F/B. 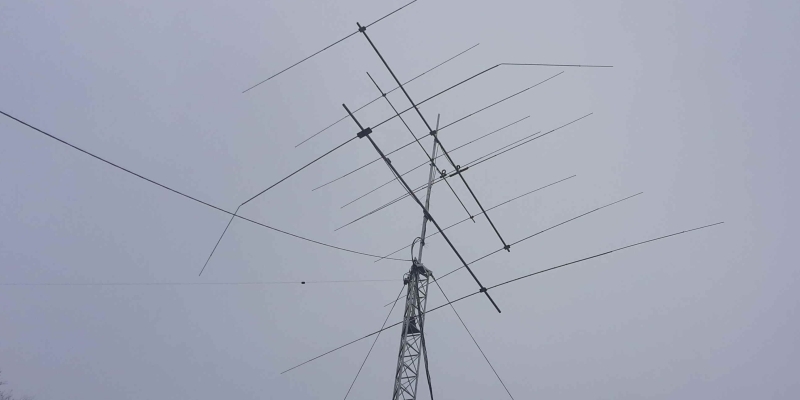 A very directive 3.15 m 70 MHz low Antenna Temp. 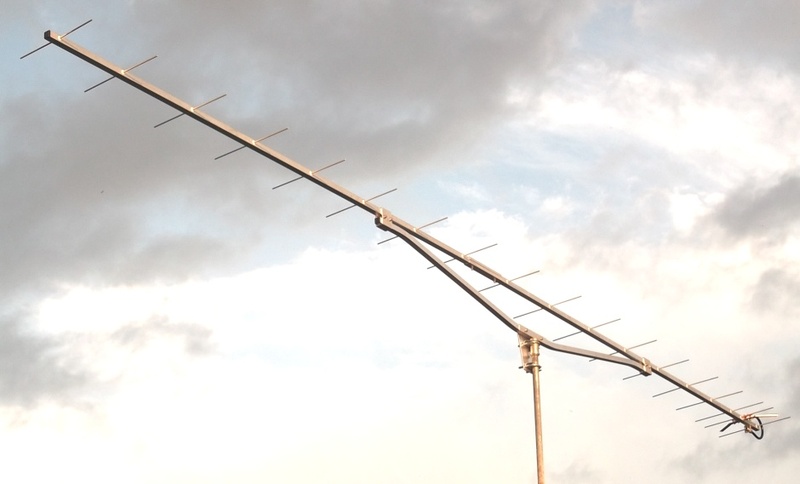 version of the low impedance, yet 50 ohms direct feed 144 MHz Low Noise Yagi introduced in Dubus 1/2013. Carefully tuned for some bandwidth and most F/B. 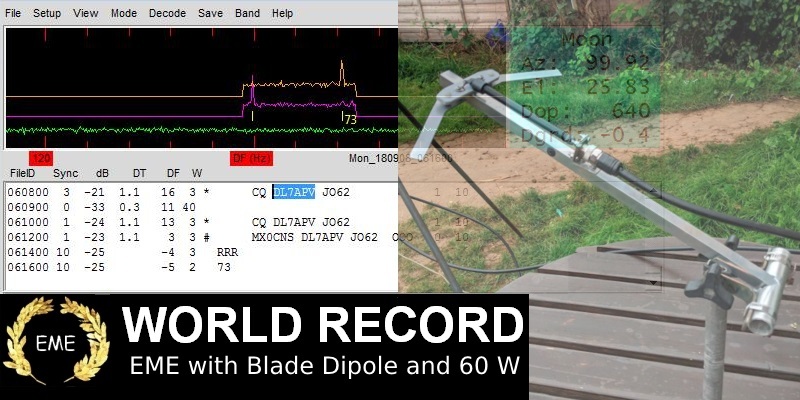 A very directive 10.5 m 70 MHz low Antenna Temp. 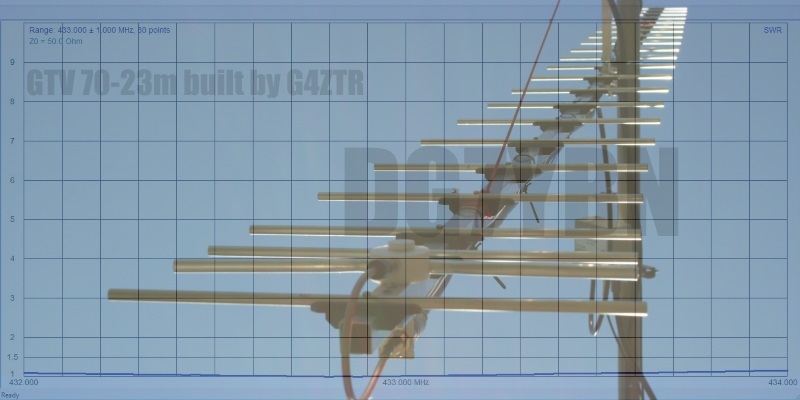 version of the low impedance, yet 50 ohms direct feed 144 MHz Low Noise Yagi introduced in Dubus 1/2013. 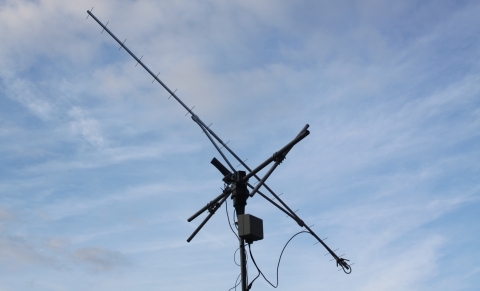 A lowest Antenna Temperature version. A 50 ohms direct feed 2 ele. 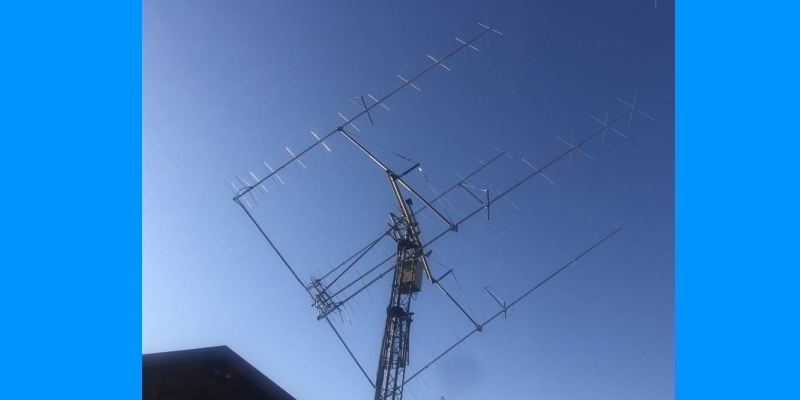 Yagi with high potential as broad beam Contest Stack. 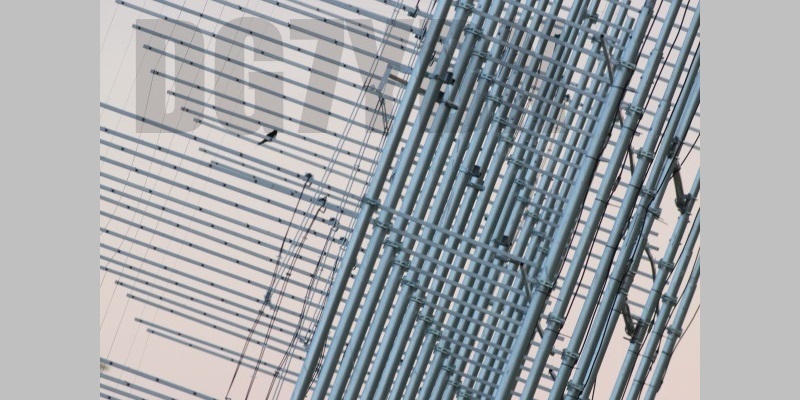 Actually it seems to be so good that DK7ZB decided to use it as draft for the 8 ele. OWM he just published. This design needs care when building a large enough calliper gauge for measuring element length is needed here for optimium perfomance. Tune up your 19 ele. 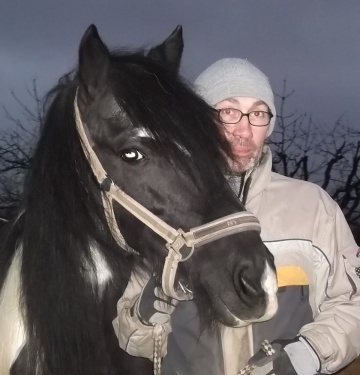 Tonna! 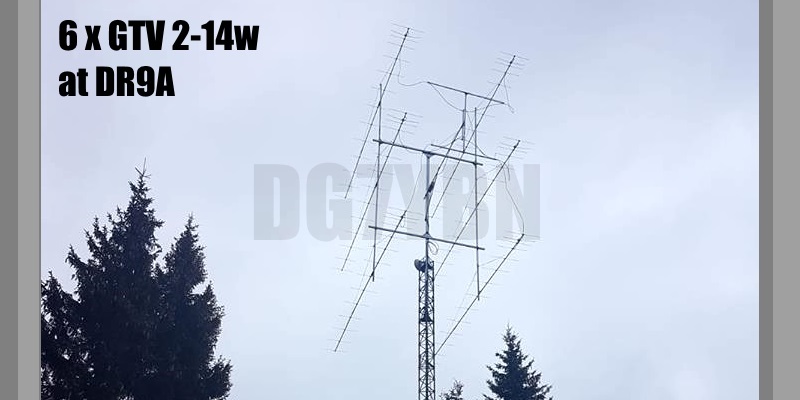 A 1.3 m 432 MHz GTV with high gain but low backlobe volume. 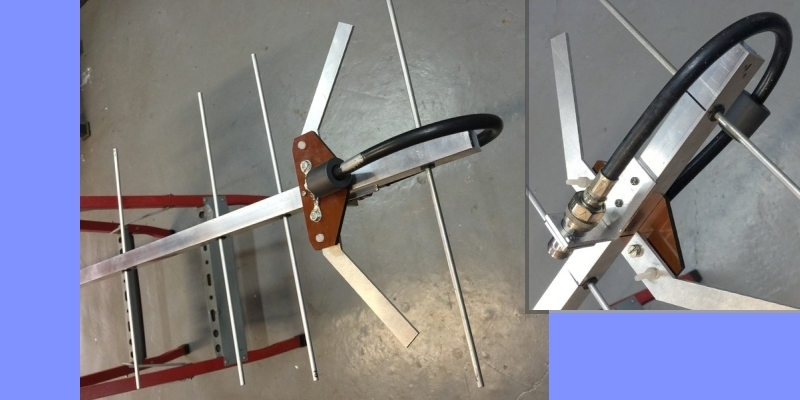 Makes a very compact 4 Yagi bay for QRP EME or contesting. 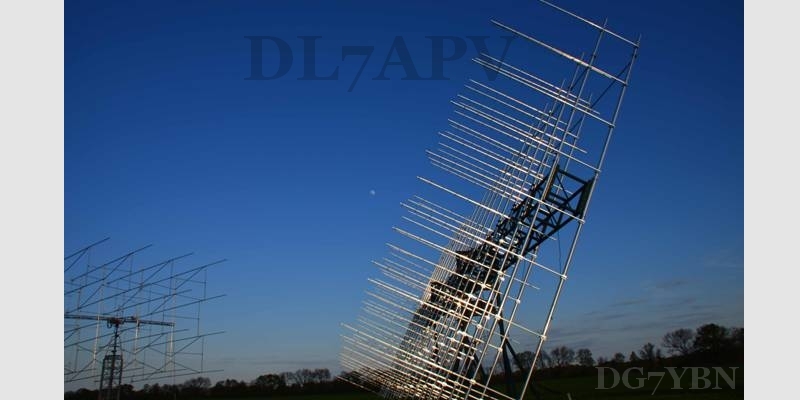 The modified DL7KM Double Quad Beam as scaled 2 m mod. 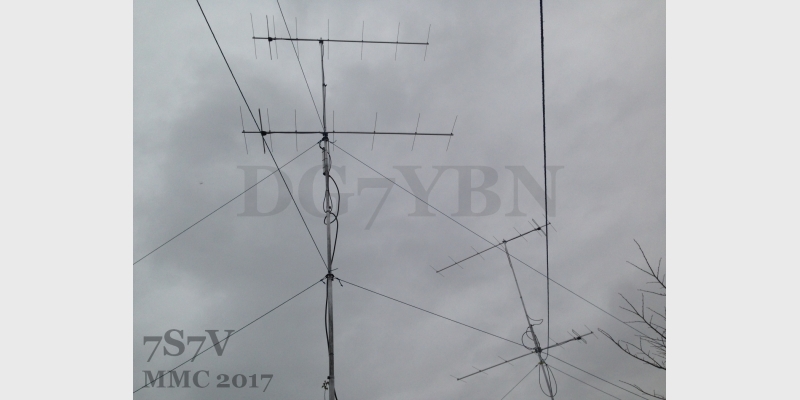 version for the 70 cm band. 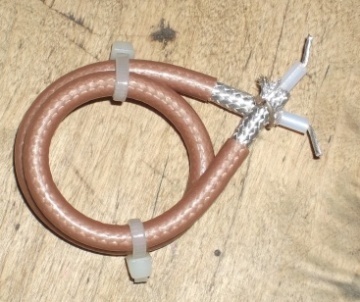 "Please do not take the Hotel Towels"
Bending aluminium tubes by hand leads to buckles and brocken tubes. So I show what a simple selfmade tool looks like. 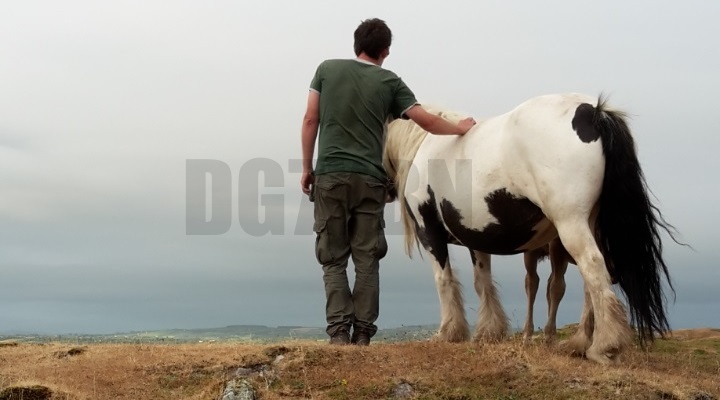 You will need just a piece of wood, a few minutes and a jigsaw to produce one. It will make the job much easier. 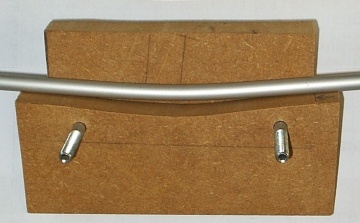 A bent rods online calculator helps getting straight and bent lengths sorted. 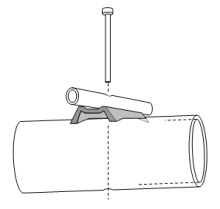 Building a YagiA collection of building hints - from DE-Box to bending Support Struts and mounting Elements. 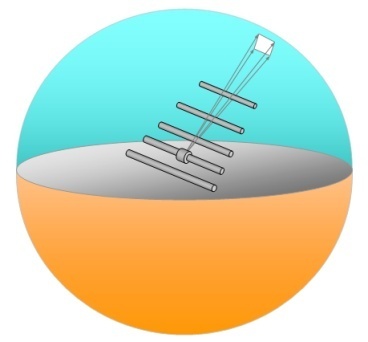 How to produce Boom Struts with a professional touch - Planning and bending Support Struts and making bending tools. 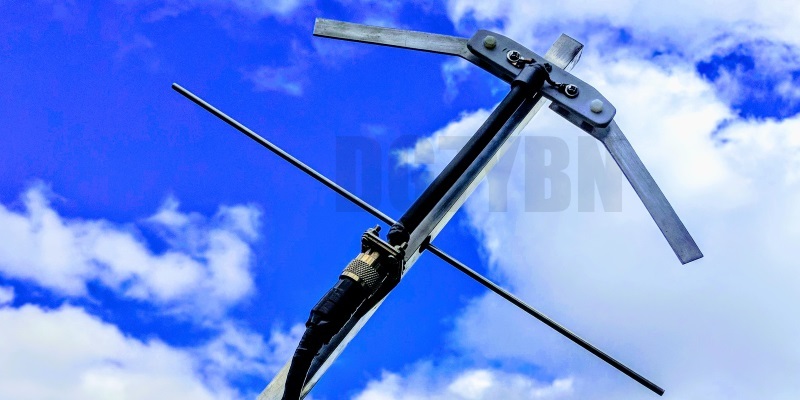 Basic MechanicsAn introduction into technical mechanics and lightweight construction emphasising implementations of antenna poles, booms and array frame construction. 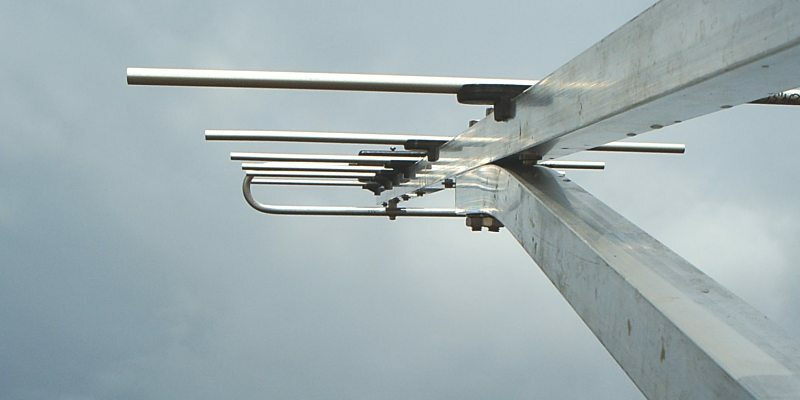 A good Yagi design is nothing without the right way of building and fitting Boom Correction applied. 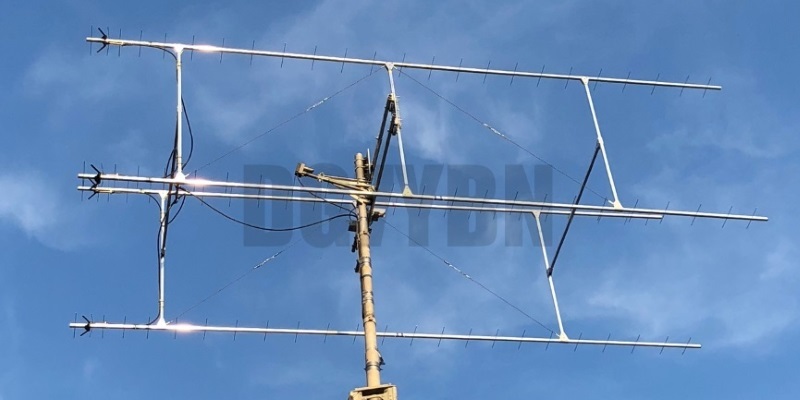 Read all the hints and factors I have gathered from building and measuring VHF/UHF Yagis and working with professional antenna builders at WiMo and TGN Technology. 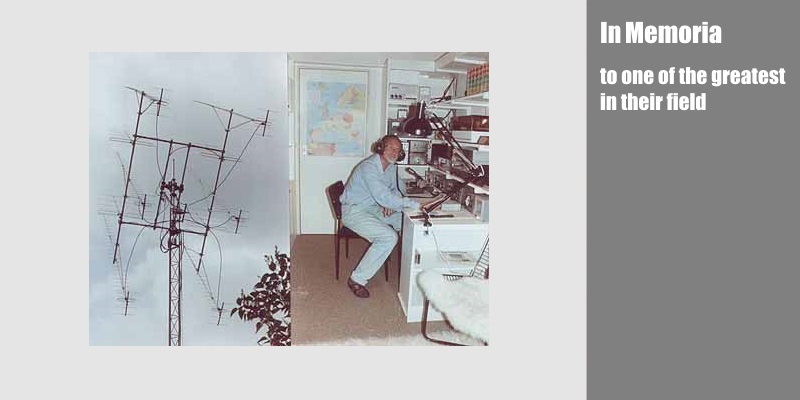 • An Intro to Antenna Temperatur. 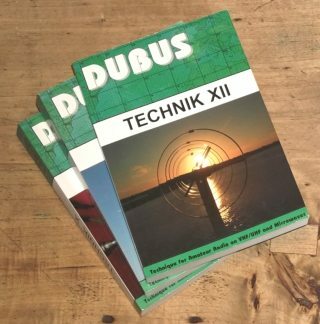 Dubus"The serious magazine for VHF and up amateur radio"
Brian Beezleys "Small Wideband Yagi"